Women’s Mid-Amateur Championship Kayla Wins again! 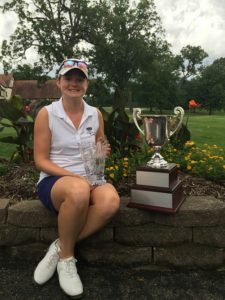 Home/Uncategorized/Women’s Mid-Amateur Championship Kayla Wins again! Kayla Eckelkamp, Washington 71/75 146 won in a playoff against defending Champion Kathy Glennon, St. Albans. Alica Anderson of Chesterfield won the Super Senior Flight with a score of 94/97 191. Kayla Eckelkamp wins the 2018 Missouri Golf Association Mid-Amateur (MGA) in a one hole playoff on Hole number 17 over fellow competitor and 2017 Mid-Amateur Champion Kathy Glennon. The event took place at the beautiful Glen Echo Country Club in Normandy, MO. Kayla is a Washington, MO native and a member at Franklin County Country Club. Kathy is a member at St. Albans and resides in the St. Albans area. Kayla a 28 year old Intensive Care Nurse at Mercy-Washington fired a par 71 in Monday’s 18 Hole competition. 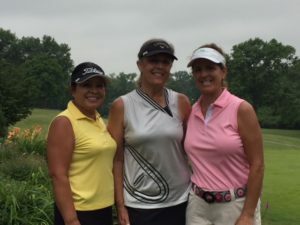 Kathy Glennon shot a sweet 72 and Kelly Osborne carded a 74 making for a great competition and third round pairing. Tuesday’s play began with a two hour rain delay and tournament administrators had to call them off the course due to lightening several times. Tuesday’s threatening weather played havoc with all the scores. Eckelkamp (71-75) ended the second round with a 4 over 75 to tie Glennon (72-74). After carding their total scores, Eckelkamp and Glennon proceeded to Hole # 17 for a playoff as the clouds and sky were darkening once again. The Pro Shop and MGA staff were closely monitoring lightning which was headed to the area. The ladies sprang into action with the intent to get the playoff going. Kayla won in the playoff on Hole #17. Eckelkamp also won in 2016 at Silo Ridge Golf Course in Bolivar over Glennon by 1 shot. 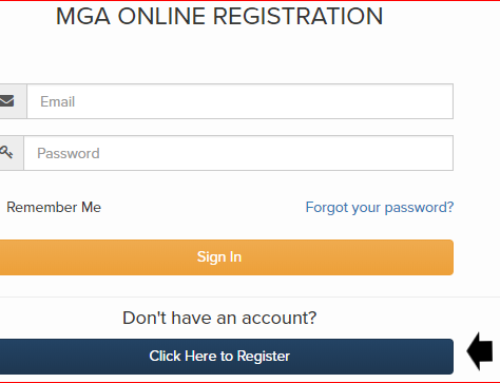 The MGA Mid-Amateur is open to ladies 25 years of age and older. 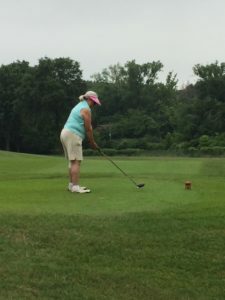 The MGA Mid-Amateur Championship consisted of Championship, Open and Super Senior Divisions which provided a fun and fair playing field for all participants. Ladies may enter if they are 25 years or older. 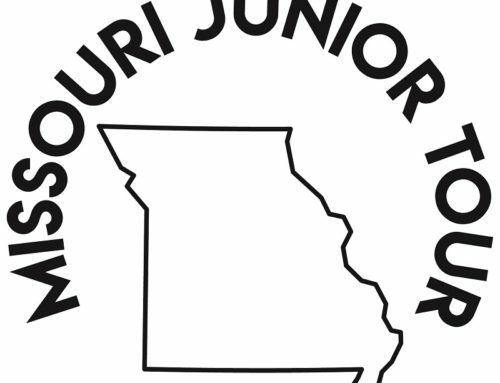 The Missouri Golf Association regularly offers competitions and players have the opportunity to accumulate points to compete in the Women’s Fore State Championship. Kathy Glennon is our 2017 MGA Senior Player of the Year and Kayla Eckelkamp is the 2017 MGA Player of the Year.